Lesley Tye from last year's production of "How Grinchy Met the Who." 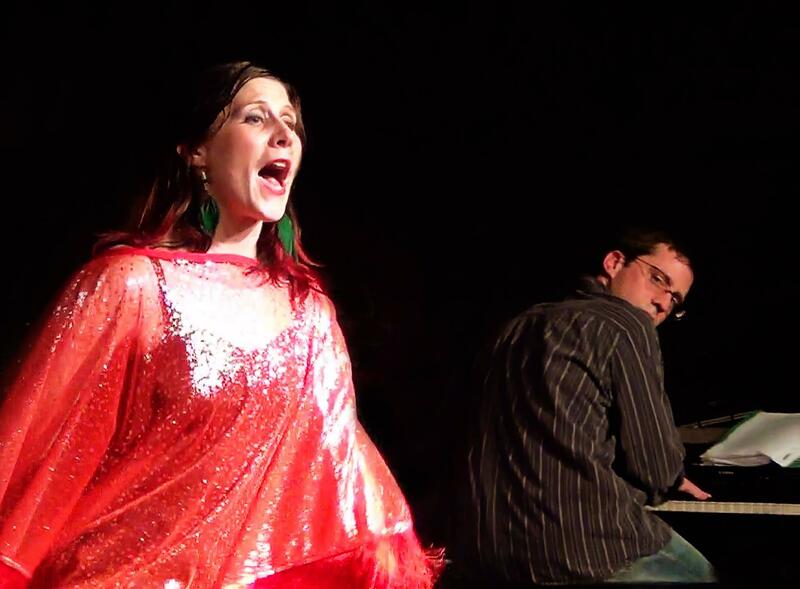 Tye's musical director, and husband, Tony Bero is at the keyboard. 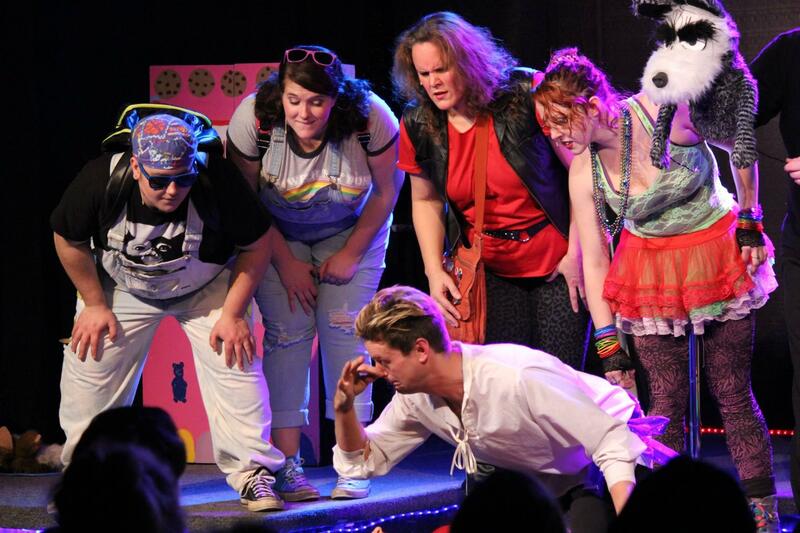 The parody team is back this year weaving together fairy tales with 1980s rock. The idea came to Lesley Tye more than a year ago when she was in her car listening to the song “Girlfriend in a Coma.” That was a hit from 1987 by The Smiths. The song got Tye thinking about Snow White and the prince who saves her. “I just thought, 'this is exactly what the prince would sing about his Snow White,'” says Tye, who teaches screenwriting at the Interlochen Arts Academy. Fairy tales are enjoying a comeback these days in popular culture. The Sisters Grimm books were bestsellers. Steven Sondheim’s fairy tale-themed musical “Into the Woods” will appear on the big screen later this month. Tye thinks contemporary storytellers like to get into the heads of the characters who we meet briefly in the classic tales. Prince Morrissey (Derek Woodruff) leans in to kiss his princess (Lesley Tye) to wake her from the coma. In her new show, Tye explores these fairy tales with the help of 1980s rock. Snow White comes across Joan Black (Joan Jett and the Blackhearts). The three bears meet Blondielocks, who sings the 1980 hit “Rapture” by Blondie. This sort of art is called a mash up. Last year, Tye’s group Mash-Up Rock ‘n Roll Musical Parody did a show about the Grinch, the guy from just north of Whoville. He became Grinchy. Instead of missing his heart, he couldn’t hear music, sort of like Tommy, the deaf pinball wizard from the album by the British rock band The Who. Lesley Tye teaches a course in digital genres and includes mash ups in the curriculum. She says a lot of art these days involves borrowing and copying but the mash up involves juxtapositions. “You’re taking two very different things and seeing what happens when you put them together and play off of each other,” she says. "Grimm's Alternative Fairytales" will be performed at the InsideOut Gallery in Traverse City tonight and tomorrow night. Hear Lesley's conversation with Kate Botello on Classical IPR.